From its base in the Czech Republic, Avast Software is bringing revolutionary technological innovations to consumers all over the world. It would be easy to assume that technology company, Avast Software, originated from Silicon Valley in the US. Its solutions are ahead of its time, its software engineers are incredibly creative, and its headquarters bear a striking resemblance to many of the start-ups that call the San Francisco Bay area home, with a gym, recording room, hammocks, and a cafeteria manned by celebrity chefs. However, the business is actually based in the Czech Republic city of Prague. 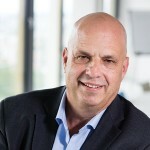 CEO Vince Steckler says it is a revolutionary concept to bring to the Central European region, and a unique selling point when attracting talent to the business. “We do a lot of partnerships with Silicon Valley companies,” he shares. “Their work environments are very different and dynamic when compared to traditional organisations and that’s what we wanted to tap into. We’ve created a Silicon Valley-inspired office in Europe, which is revolutionary. It has only been done before by the likes of Google and Airbnb in this part of the world, so it’s quite unique, especially for a place like the Czech Republic. “There are a lot of good reasons behind why we took this path. The restaurant, for example, is free to our staff and encourages them to engage with their peers. They sit down at breakfast and lunch with people they might not really know and they talk. This results in a much more engaged workforce, which is very important for business. Avast’s approach was to focus on the product, ensure there was exceptional technology, and treat the users right, thinking if they did all of that then business would take care of itself. The philosophy still rings true today and has been proven to work. When Vince joined there were forty staff members and annual revenues of approximately US$18 million. Now Avast has close to 700 employees and has hit US$350 million in yearly turnover, and in July this year, the company announced an agreement to acquire its competitor AVG Technologies for US$1.3 billion. “It has been a time of tremendous growth and that is so much more fun than defending market share,” Vince notes. Continuing this steep trajectory is still the key area of focus for the company and, despite the challenges with foreign exchange rates and changes within the industry, it looks like it is set to achieve its goal of consistent 20-per-cent growth year on year. “The whole computer industry is going through a shakeup. We have moved from a very PC-centric world to a diverse and, as some might say, mobile-centric world,” Vince says. “There are many things we need to worry about when considering our future. What devices are consumers going to be using in the next few years? What are their needs going to be? What will the security threats be? What solutions will we need to develop in order to protect them? It’s a fairly difficult transition for most companies. For the traditional players, their way of distributing products via retail stores doesn’t fit the mould anymore. When is the last time you met anyone who bought an android or iOS product in a retail store? Our strength is in online distribution and free products, which is what works well in this mobile world. We have a huge jump up on the traditional competitors and that’s what is going to matter in the future. To successfully adapt to this ever-changing environment, Vince notes it has been crucial to develop long-standing relationships with the right partners. Avast is predominantly based online already which means it doesn’t need to manufacture and distribute physical products. Therefore, its suppliers are the companies that provide the infrastructure and disseminate the product via the internet. “It’s a little different because it’s not like a supply chain you can reach out and touch,” he explains. “We have a lot of suppliers, but they’re not the traditional suppliers you would think of — it’s a new age these days. The benefits we have seen as a result of these relationships have been the ability to grow and remain stable in the market. It’s much easier to change suppliers in the online world than it is to change suppliers in the physical world, but you have to get away from that desire to jump from one to the next. Our focus is always to build long-term partnerships. As a growth business we have to move into new geographies and navigate new ways of doing things. If we treat our suppliers only as suppliers, as opposed to partners, it’s going to be very tough to get the commitment we need.